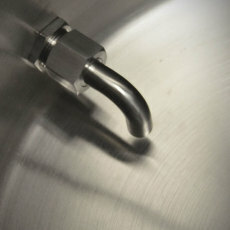 Have a worry-free brew day, keep hops and trub out of the fermenter with the patented Anvil Kettle Strainer! 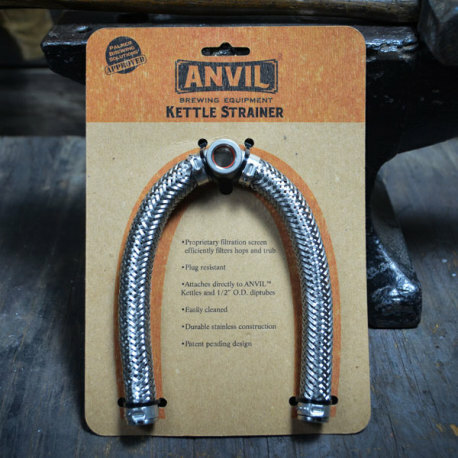 Keep hops and trub out of the fermenter the easy way with the Anvil Kettle Strainer! 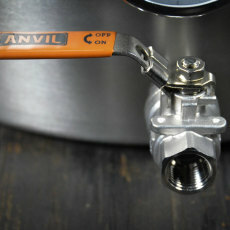 This patented kettle screen design fits easily onto the end of the Anvil diptube, or any 1/2" diptube. Two screen arms split off the main body and act to conveniently and effectively filter our hops and trub that are left after the boil. 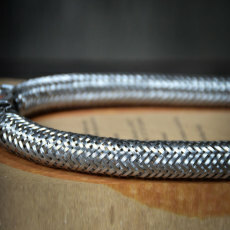 Plug-resistant, this screen has been tested vigorously and is now ready for your kettle! 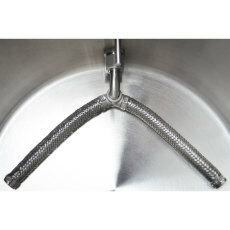 With an easy-to-clean durable stainless steel construction, this is the last kettle screen you will need! Also works on Blichmann Engineering BoilerMaker kettles! 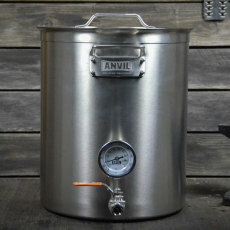 I recently added this piece of gear as an add on to my Anvil 10 gallon kettle. I have about 5 batches under my belt with this combo and the duo has performed exceptionally well. 4oz pellet hops on the hot-side combined with a spoon-induced whirlpool and controlled flow rate while transferring to my fermenter led to minimal trub pickup. I have also used with 28 oz of wet hops or 1-4 oz of dried leaf hops and found little to no trub transfer. I have found this piece of gear to be superior to the SS Brewtech trub damn. Cleaning takes a bit of time but the design allows one to flex the screen to let particulates to pass through and out. Another well made product. Thanks Anvil team.